Actions: An action at the very heart of the cells function for a lasting, natural and visible beauty result. Truly acts at the heart of the cell to reprogram it, boost its life cycle and stimulate the cellular faculties. Compensates for the 4 visible dysfunctions of the skin: dehydration, altercation of structural proteins, hyperactivity of the defense system and hyper-seborrhea. Promotes optimal maintenance of the cutaneous metabolism over time. Slows the factors responsible for cutaneous aging. Optimizes the cells energy and boosts their activity. 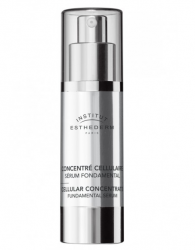 Results: Skin that is stronger, more tolerant, healthy, luminous, and lastingly equilibrated. Skin that stays younger and longer. Energized skin that functions at top capacity. Indications: For all skin types. Wonderful for those delicate more fragile skins. The effects get even better over time and your skin just feels complete! Instructions for use: Apply morning and evening to the clean, dry skin of the face and neck. Patti includes the eye area as well! On application, just use one small pump for the entire face. Can be used alone to maintain the beauty of perfectly balanced skin but best used in combination with other skincare moisturizers and products to optimize their efficacy. 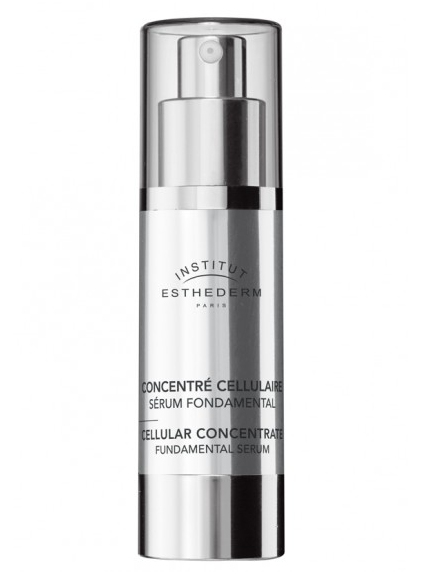 This is a serum so it does absorb into the skin quickly. Always apply the Serum first then layer your subsequent product for complete nourishment!